This luxurious Supervue Acrylic Poster Display Block is perfect for high end retail price, product, photo or promotion displays. 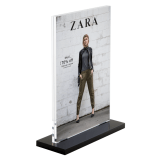 With this diamond polished POS display piece, your poster or graphic will stand out leaving a lasting impression on your customers. What is the Display Block made of? 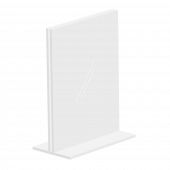 The Display Block has been manufactured from the finest 5mm thick clear Supervue acrylic. 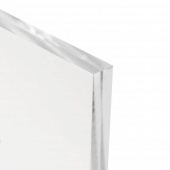 All of the edges have been diamond polished for a smooth, professional finish. 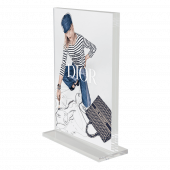 The base is manufactured from 10mm thick acrylic, providing a strong and stable base for your display. The Display Block has been designed so that the top and sides open slightly to slip poster graphics in and out. 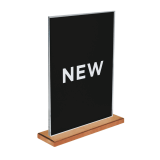 Updating posters is quick and simple, making this a great solution for busy environments with regular POS updates. 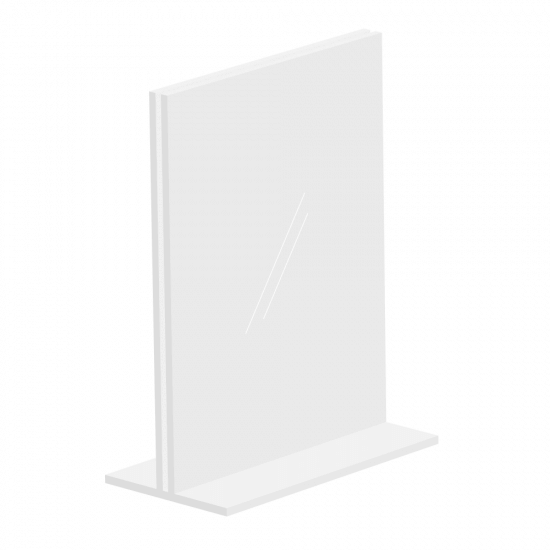 Yes, both sides of the block are clear, so if you wish to use a double sided graphic or two paper graphics back to back, you can create a double sided advertisement in one unit.